If you love to play soccer and love to train and improve your game to become the best player you can be. Then you need to keep reading this review. Why some players train hard but never get anywhere or seem to improve their game at all. Could it simply be down to natural talent or luck? The truth is these players have the edge over other players due to these reasons. You might be surprised they are not much different from you. Firstly they love playing the game of soccer probably just like you, they have a passion for it. Then they want to practice and learn to improve their soccer skills just like you. Next they are willing to put in the hard work to improve their game. They might be willing to work harder than you but that is easily fixed if you want to get better than them, then just decide you will work harder and do it. Actions speak louder than words. As far as I can see yes you need a lucky break but this will happen if you practice, practice and practice some more. Then you do need some natural talent but most decent players just keep working on their games until they get to the level they want to. So the main and only real difference is they work to a plan and a specific program with a definite purpose of improving their soccer skills and game. That is where an online Soccer Training program can become essential to you as a player. They develop and give you a specialised program working on every part of your game. They set you on the right path to being your best as a player. This will mean the Manager or Coach can not ignore you any more and you will be the first name on the team sheet. Matt Smith is the man who made the epic soccer training program that is designed to give your soccer skills the skyrocket. It took over a year to make which means you are getting the best high quality information to improve your soccer game. It has already been snapped up by over ten thousand players world wide. He was an average player going nowhere with his game but had a dream he wanted to be a top professional player. He started to researching and studying to find a way to improve his game so started speaking to the best players and coaches to find out what was missing from his game. It worked and he was picked to play professional before he was even out of college. He went on to become a three time all-state soccer player in the state of Florida, high school all American player , Florida soccer player of the year , collegiate All-American player, Former Professional Soccer layer. Why do you need this program & what you will learn? It will teach you how to train more effectively and get results quickly. Find out and discover how to become a game-changing player. Learn how to use stack moves which the Pros use all the time. It is a three module program so what’s included? It is called this because you will be learning how to build a solid foundation for your game, it moves you away from practicing the same old things and never improving your game, there is a right way to train and get the ability to have unlimited quality touches on the ball. It is called this because you start to mix more advanced soccer skills and you continue to build off module one. The effective drill and techniques you will earn will improve your game to an even higher level. You will start mixing the first two modules into this one and become a soccer machine! Learning more advanced skills and having the qualities to beat any player and be the best player on the field every time. You will learn skills to be a leader to help your team reach its goals and your playing skills will make you feared by your opponents and respected by your team-mates. Below is a video of Matt showing you some basic Training Drills to improve fast. This video alone has had over 3.3 million views on you tube. Although you have one initial payment of $39.97 and another $39.97 after 30 days. You will never be billed again after that. It is essentially risk free buy due to the money back guarantee. So you have nothing to lose if you want your game to move to a new level and everything to gain. These payments give you a lifetime access to the program that you can access whenever you want to. Yes we all love some free stuff, me included, so check out these hidden gems you get with the program for nothing. epic soccer fitness guide – this is a proven fitness and conditioning program that works. epic soccer nutrition guide – discover the best food to eat before and after a game plus what not to drink. epic soccer module 4 – the vault – you will be shown the most advanced moves and training techniques. 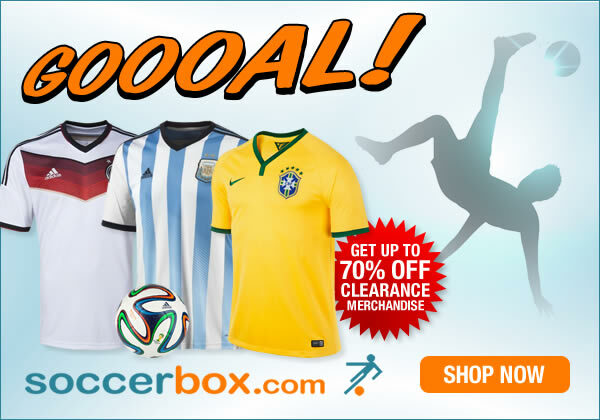 Designed to improve your soccer skills in an easy to follow step by step way! That is what the program is all about getting results for you, in an easy to follow way. Go through it step by step and watch you game go to another level. Matt continually gets players coming to him for help because his students rave about his methods and they get results they are looking for. If he can do this for them then imagine what he can do you. This is a breakthrough soccer training program that has helped thousands and it could help you too. Don’t just take my word for it try it for yourself and find out what I mean. This is pretty impressive that there is actually a program like this online to help improve one’s skills. It is the first time I am coming across this and I am impressed about the work put into this. Are there actually testimonials about people that have made use of this program, I would like to know. Hi Jay. Thank you for the kind message. If you go onto YouTube you will find many videos and people who have used the epic soccer training program. If you click on one of my links to it you can see more testimonials on there information about this program. Hope that’s helps you with your questions. Hi Dapoach. I am so pleased you found the information on the epic soccer training program useful, that was the aim of this review. Thank you for sharing the information, the more soccer players it can help to improve their game the better. Bench warming in soccer can be plain old frustrating. Yes, you get paid, but for what? Without knowing what to do to make you special and have an edge over other players, your talents and passion may never be recognized. Then, you only have to rely on a lucky break. Which in many cases, never come. So, I would advice soccer players that have had enough of warning bench, to get this program, Epic Soccer Training. I am sure it a sure bet to be a star in the world of soccer. Hi Peace. Thank you for taking the time to leave a message about the epic soccer training program. You are spot on with your comments. If you keep training and never get picked then it’s time to do something about it. It’s a short career and you should want to play ever minute. Soccer is a very interesting game that players played with soul and body and also views too watched with passion. The reason I said so is because football is the number one game that has make people to cry or endanger someone. I have been really thinking why some people get picked at the beginning of the game and some they don’t bench them till the match finish, to me this is the result of your ability to focus and calculate accurately. Come to think of it all the players had the same training and probably same coach. Thank you for your comment I really appreciate it. It is so true if you are tired of training and want to play instead of always sitting on the bench then its time to do something about it. That is why I decided to help out and do a review for the Epic Soccer Training System. I see you are another football fan who loves the game just like me so. That is good to hear. The review about epic soccer training is an incredible and interesting one. I think those that really gets the best out of their passion and dream of soccer those that work to a plan and a specific program with a definite purpose of improving their soccer skills and game. I love soccer and I am very passionate about it. And I want to thank you for this review and also thank God for making me stumble on this article. I will definitely bookmark this page.. I am really pleased that you have found this review too about the Epic Soccer training system. I would love to hear back from you once you start using the program to let me know how it goes and how much your game improves. This is awesome. I have searched for things like this over the years but I couldn’t find any. I am happy to have this review and I can now improve in my playing skills. Not only for me but also my kids could benefit from it. I will love them to learn football and play the best of their kind. At least there is little or no risks in purchasing this product since there is a money back guarantee. I love this! It took me ages to find a decent Soccer training system that I could show to people to help move there skills and game to the next level. So I am please you like what I have written in this review. I look forward to hearing back from you when you and your kids turn into that amazing game changing player. Subscribe to my website and I will be sending out more cool information just like this review. It is amazing how fast your game can improve with a plan and the right training methods. I am excited to hear that the Epic Soccer Training system has worked for you.. That is one thing I was never blessed with in my playing days, any sort of pace. Well done for adding that to your game. Take care my friend and good luck to you. I think this epic soccer training system will be best suited for young kids playing under 10 to under 15, where they can actively put into practice what they learn without feeling the pressure to over perform or be the best player on the pitch yet. Personal coaching might also help them freely talk about their challenges. The fitness and nutrition guide is also a very good bonus. I might be open to purchasing this for my sons. Great review. Thank you for taking the time to comment on my review of the epic Soccer Training system. This program is suitable for all ages as long as you love playing the game of soccer and want your game to improve. You need to practice what is being taught otherwise your game will never take off. I hope you kids will love it when the start using it. Let me know how they got on with the program sometime in the future. I used to think soccer was a game purely based on natural talent, however seeing the modern footballer has change my perspective. I can recall what Thierry Henry said, success is viewed as luck to amateurs but professionals know it’s practice. As a footballer myself, I would love to get this guide to know how I can improve my football skills. Thanks for this information, great video too! As always I appreciate the time you took to leave me a comment about my review on the epic Soccer Training System. I hope your game skyrockets to the next level when you start to use this information. let me know how you got on with it sometime in the near future. That is why I was so excited to share this review about the Epic Soccer Training System with everyone, because many of us need that extra edge and help to make us a better player. Yes even I am past my best I can pass this information on to some one else and they might benefit from it. I am pleased to see you think like I do. Take care and best wishes to you my friend. Thank you for the very cool comments on my review. Yes that is so true what you say if you want to improve in any thing in life you need the correct and right way to do it and a plan. 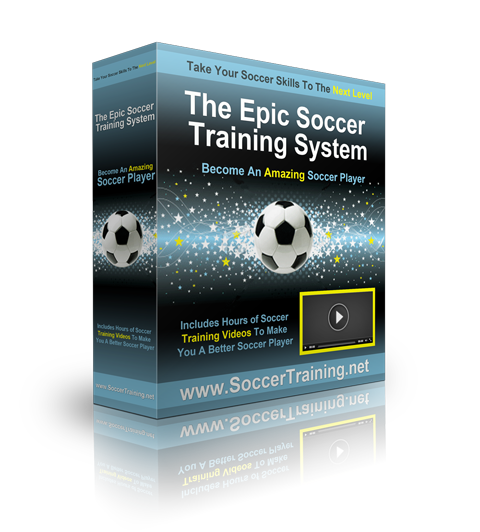 the Epic Soccer Training System gives you all that and much more. Good luck and I would like to hear back from you if your game takes off and you become that game changing player. Since the day you have given me this advice my football playing skills has improved tremendously am now a force to reckon with in my team even an envy of all eyes all thanks to you for the advice and teachings.I have being training more harder than ever before and with this your effort that you just introduce am 100% sure am going to be playing a leading role in our next matches,thanks so much am off to the stadium. I am really please to hear that your are find the benefits of using the Epic Soccer Training system. Keep up the good work my friend. All the hard work you on putting in on the practice fields will pay off for you I am sure. Take care and keep enjoying the beautiful game. You can buy this epic soccer training system by clicking on the join now buttons throughout the review, or just click on any image in the review. I cant wait to see how your football skills improve once you start the correct training. Soccer is a game I used to think was totally based on talent. But I have come to learn that it takes working on your game until you get to the level you want to; just like you stated. I have a strong feeling that talent and skill can be nurtured at tender age. Well I am past the age bracket where I can train and be good at the game but I am determined to make sure my children get the best assistance to become good or great soccer players. >The Epic Soccer training system seems to be what I am looking for especially the 60 days money back guarantee. The video you shared of Matt Smith is wonderful. Yes your children will defiantly benefit from the Epic Soccer Training system, you will see their game go from strength to strength. For me the money back guarantee gives you piece of mind as its risk free to try it. Put in the training and you can end up being a game changer in any match. Best wishes to you and I look forward to hearing how this program works for you. The best thing about this article is that you get right to the point with pay and pricing! Bravo! I love that. I swear that’s honestly what most readers want you to get to! Like, tell me about what its gonna cost me and then let me decide if I want to get scrolling and let you tell me about the product! That way no ones time is wasted! Brilliant! Thank you for taking the time to message me and leave me you kind comment. So true that if you are going to do a review of something then the reader needs the full facts and the cost is very important to anyone interested in buying the Epic Soccer Training program. I must say that this article is very helpful and informative Matthew. Football is one great sport and it is one of my hobbies. I did not hear about this training but I would like to buy it for my friend who is just starting with training. It is not expensive at all but I can see that it gives value. Football is a fantastic hobby to have and it will certainly get you fit. The benefits of the Epic soccer training Program System far out weigh the cost as your are investing in your friends future by helping them improve their game what could be better than that. Good luck my friend and thank you for taking the time to comment of this review. Thanks for the nice review. It is timely information for me. Spring is here and soon we will play soccer again. I have been playing soccer for years, but never get significant improvement in my skill. It is perfect time for me to have some refresh on my soccer skill. Apparently I practiced the same old things and never improved my soccer game. The program will certainly show me the right way to play. I am anxious to start my training process. I am glad you have seen the good things that the Epic Soccer Training system can do for your game, and yes it will give you some new ideas on how to improve your game. Keep working on improving and you will soon be the best player on the pitch! Best wishes to you and thank you for the kind message.